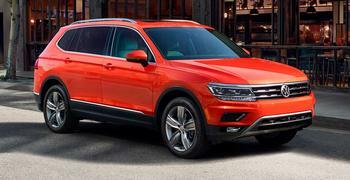 Volkswagen Group of America is recalling 45,457 model year 2018 Volkswagen Tiguans. The LED module for the panoramic sunroof ambient light bar may short circuit, posing a fire risk. Volkswagen will notify owners, and dealers will disconnect the power supply for the panoramic sunroof LED module, free of charge, until a future service action can safely reactivate the feature. Owners may contact Volkswagen customer service at 1-800-893-5298. Volkswagen's number for this recall 60D1.